We are asked all the time should you have a Spanish will or Do we need Spanish wills when you own property in Lanzarote. And where to get Spanish Wills in Lanzarote. It is always advisable to have a Spanish will signed before the notary public and registered to cover your wishes regarding your assets and your heirs. This facilitates the heirs to accept the inheritance smoothly and efficiently. A Will is usually drafted in the form of an open will, meaning that it is for all your assets in Spain. This includes bank accounts, cars etc. If you purchase a property in Menorca and one in Madrid you do not need to change your will. 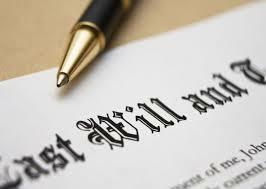 A new will would need to be drawn up if later you change who you appoint as heirs. Wills are drafted in dual language, Spanish down one side and English down the other, in alignments with the necessary legal clauses. Once the content meets your approval, it is then signed personally before the notary public and registered.